With the price of textbooks through the roof, overall expenses high, the need for cash always present, and the all-too-inviting open-door policy of dorm life, it is no wonder that dorm theft is common. What's not common is how widely known an issue it really is. Most dorm thefts are of one item here or one textbook there. Although the problem when lumped together is large, there is rarely the broken-glass-style burglaries that garner headlines. Further, universities are really not trying to be in the local news for having problems with theft. Combine all this and you may naively go off to college not worried about your stuff getting stolen, which in and of itself makes you a perfect target. The sad thing is typically it is other students. It's entirely possible that someone from off-campus came on to campus to steal, but the odds are against it. The reason being is that for these quick backpack swipes, textbook grabs, or tech stuff steals to even be able to occur, the thief has to be able to blend in. And no one blends in better than fellow students! Nothing! There is nothing obvious to look for. Most college student thieves fall into the category of opportunist. If they see something that has value and it is unattended (with no risk of getting caught), they'll steal it. The key is to not watch for something, but rather watch your stuff! With the ability to re-sell textbooks, post anything on Craig's List or even eBay, almost everything you own could have value. Even your jacket could be sold to a local consignment shop. So next time you leave a coat or a textbook on a library chair or in your dorm study room, don't be surprised if you become the next victim of dorm theft. ... Part II will focus on ways to limit room theft. How do you prevent dorm theft if you have a roommate? After all, you can lock the door as much as you want, but if your roommate leaves it unlocked or has friends who snoop through your stuff, how do you prevent your stuff from disappearing?Good question! Besides the obvious answer, which is talking to your roommate about making sure the door is kept locked when you are both gone, you really can't do much about "friends" coming in and out while one of you is actually in the room. 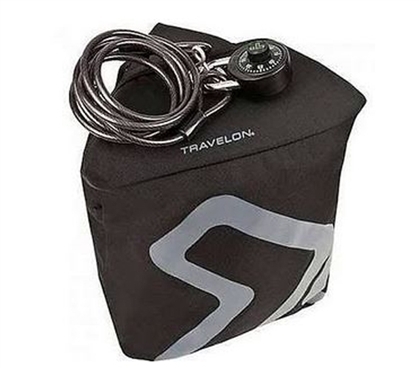 This leads you to no other choice than to proactively keep your stuff locked up and protected. Textbooks are hard to lock, but you'll at least want to keep the really expensive ones out of site. Really anything that can be sold on Craig's List, or that you feel is invaluable to you. Anything that you would lose sleep over if it went missing should be protected. The best way to keep your valuables safe is with dorm room security products. You will need at least two safes. The first for your laptop and the second for your other small valuables. Both versions have to ensure that your stuff can't walk. This means they either need sirens louder than loud, or they need to have the ability to lock to your immovable dorm furniture. In most cases this would be your desk or your bed frame. Tablets like iPads will also be high-target items. 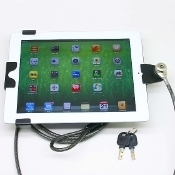 To keep that iPad secured, try our iPad Safe Lock-Up Kit. It places a metal frame around your iPad and connects it to a steel cable to anchor it down to your dorm desk or bed, for example. Dorm security items are well worth the investment. Peace of mind is worth having! If you have a tablet or just need a pocket for jewelry, cash, or other valuables, try using our Anti-Theft Lockdown Safe pouch. Its steel cable for anchoring will thwart even resilient dorm thieves. The real cost of dorm security can be compared to the cost of not having dorm security! If your electronics for college get stolen, that will cost a lot to replace those college items, especially your laptop. 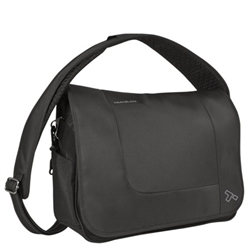 So when it comes to keeping that laptop for college safe, use our Slash-Proof Laptop Messenger Bag. 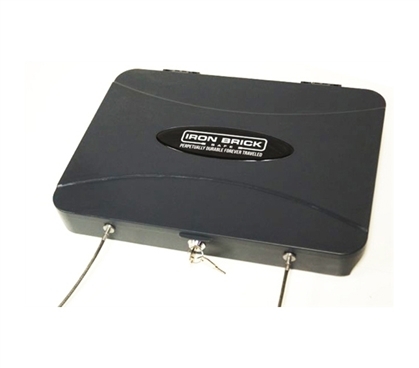 It can be anchored down with a lock and cable or can be securely closed to keep that laptop tucked safely inside!